The campaign started on 15 December following a call published in several EU countries. It asked a simple and open question: how to reinvent Europe? 30,000 proposals and 2 million votes later, WeEuropeans presented the ten ideas that garnered the most support among participants. And social justice, together with climate change issues, came highest on the agenda. “In recent years, we have assisted to a public debate infected by division,” explained one of the initiators, Axel Dauchez, founder of make.org. Dauchez’s bet was therefore to find a common base for political action that all citizens can rally around. “It was an enormous bet,” admits Axel Dauchez. But “this common base does exist, and it is the beginning of a democratic re-appropriation” of the Union, he claims. Environmental issues are a case in point. It is a subject of growing concern and many believe that progress can be achieved at European level. As a result, four out of ten proposals in the WeEuropeans project directly address the environment. “I am happy to see that several proposals focus on climate issues,” rejoiced Jo Leinen, a German lawmaker from the Socialists and Democrats (S&D) group in the European Parliament. “We can see that the topic of immigration, which generates headlines and which is used by politicians, is not amongst the issues that preoccupy our citizens the most. The topic of greatest interest which appears consistently is the environment,” Leinen pointed out. However, if climate and environmental protection are major concerns for citizens, this doesn’t mean divisive topics aren’t relevant as well, Dauchez warns. “Immigration is a topic that stood out quite clearly but did not attract a common base, because people are actually very divided on the issue”. The citizens that represented the ten most recurring ideas came to Brussels last week to present their proposals to a small group of MEPs. They were each accompanied by an expert from civil society to support their proposal and give ideas to reflect upon. They came from the Netherlands, Italy, Ireland, Belgium, Greece, Sweden, Latvia, Spain and Bulgaria to urge MEPs to look into the questions they posed. Among other things, they requested to put an end to tax loopholes for multinationals, to increase forest protection, to remove criminals from positions of responsibility in the public sector and to establish a true circular economy. All the MEPs in attendance congratulated the initiative and its participants, promising more or less firmly to take into account this citizen consultation process when planning their campaigns. “Something is born today from all this work – a true European agenda,” commended Mercedes Bresso, vice-president of the S&D group. Danuta Hübner, from the centre-right European People’s Party (EPP), was pleased to see a shared desire to progress without being affected by division and differences of opinion. “Everyone is in agreement?” Philippe Lamberts from the Green Party seemed surprised. “But why are citizens losing their social security, why is tax injustice increasing, why is the earth in danger?” The president of the Greens/EFA group encouraged fellow MEPs to put a stop on the blind pursuit of profit and adopt policies that benefit the welfare of all. The consultation also shed a light on the misunderstandings that plague the EU’s actions. One of the most popular proposals recommended the establishment of a European health insurance card. The harmonisation of healthcare systems is not on the agenda at the moment, but a health card already exists, MEPs pointed out. Information and transparency is another area where citizens’ expectations are high. “There is a need to make clear and transparent information available on the totality of the projects and agreements within the EU,” suggested Salvador, one of the citizens, who was supported by thousands of Europeans. The future of these proposals is nonetheless uncertain. “We all know that even the longest journeys start with a first step. Today we have taken this first step,” Hübner said. Meanwhile, most politicians continue to hang on to their traditional hobbyhorses that do not necessarily speak to citizens. Reacting to the proposals, liberal leader Guy Verhofstadt insisted on the importance of establishing a “true” European budget. “With 1%, we cannot do anything” he said, adding that to move forward, one should also “establish a true European government, with [only] fifteen Commissioners and a Parliament that disposes of a right of initiative”. “The proposals corresponding to all these ideas already exist,” he insisted. “But these are blocked. Not in the Parliament but before the Council of the European Union,” Verhofstadt said, calling for the end of the unanimity rule in the Council. Several of his colleagues agreed, even if Philippe Lambert claims to be fed up with MEPs hiding behind the Council. “We cannot pose as a ‘good Parliament’ that fights against a ‘bad Council,” he said. 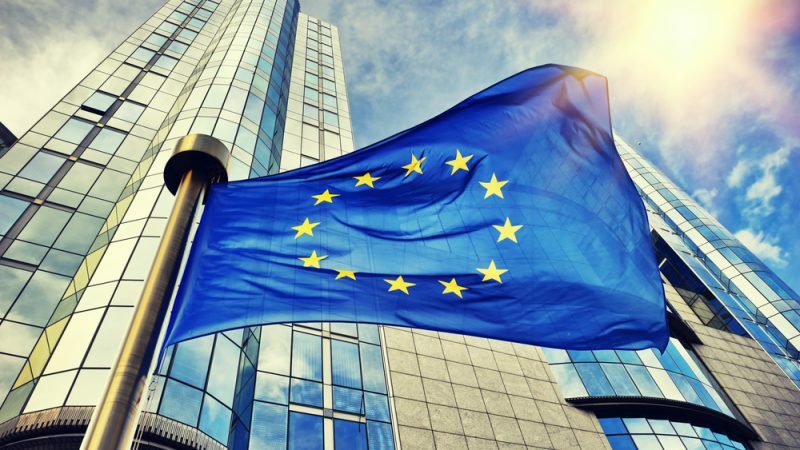 “We should use this tool on a European Union level in a regular and structured manner so as to create a true European spirit that goes beyond the agglomeration of 27 competing nations,” said Guillaume Klossa, from the association Civico. Both are set to make the difference between participative and direct democracy. “We did not put them in a decision-making role but in a situation where we are led to know the issues that need to be discussed. The role of citizens needs to change: public policy can no longer be thought of without first having been deciphered by society,” said Axel Dauchez, who suggested that this new form of democratic control is the only way for representative democracy to survive. To counter increasing euroscepticism, let’s celebrate a united Europe every year on Europe Day, the 9th May (our new Europe-wide public holiday approved by the EP last month), starting in 2020, which is exactly 75 years after the end of WWII, with parades on floats (like the annual St Patrick’s Parade) going at foot-pace through the streets of our 28 EU capitals, to be organized by the European youth organizations with the help of the 4 EU youth programs (Erasmus, Erasmus+, Youth in Action and Solidarity Corps), in order to give them an opportunity to speak out and get heard!